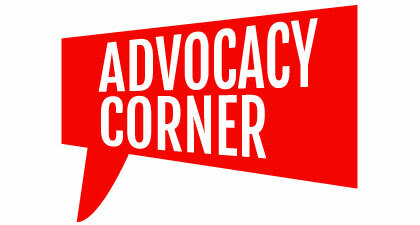 News: Advocacy Corner – The Duty to Accommodate, Returning to Work and your right to Medical Privacy. While today’s topics mostly fall outside of the AD 10s, they are no less your rights under the BC Human Rights Code. Human Rights law applies to employment contracts, or collective agreements, even if it’s not mentioned within the agreement itself. For this reason, we have included reference links at the bottom of this article for further reading. If you have questions, we strongly encourage you to get in touch. The application of Human Rights law is often in flux, as new decisions at the Human Rights Tribunal can alter how the law is applied. Talking to APSA is always confidential, and we do not share any of your information with SFU without your permission. The duty to accommodate is an obligation under the Human Rights Code to not discriminate regarding employment, based on personal characteristics. This means, that sometimes it is necessary to treat someone differently in order to prevent or reduce discrimination in the workplace. For example, providing a special screen and software for an employee with a visual impairment would be an accommodation of a disability, which ensures that that employee can participate fully in the workplace. The purpose of the duty to accommodate is to ensure employees who are able to work can do so. In BC, employers have the duty to accommodate up to the point of undue hardship. There is a reasonable limit on how far an employer has to go to accommodate your needs. But there also isn’t a “one-size-fits-all” test of undue hardship either. A small employer with only 10 employees and few resources will be held to a different standard than a large institution with thousands of employees and resources. The employer also has to prove that accommodating you is beyond reasonable ability. If your supervisor tells you that they cannot accommodate you, please contact APSA for our guidance. I have a disability and it’s causing me to struggle at work. I want to request an accommodation, but I’m not sure if my condition counts because no one can tell I have a disability. Just because a disability is invisible doesn’t make it any less valid, nor does it preclude an accommodation. If you’re not sure please feel free to get in touch with APSA. We can discuss your questions and concerns in complete confidentiality. In SFU’s General Policy 40, it states “3.2 The duty to accommodate is a responsibility that rests jointly with the employee, the union or employee association, and the University.” What does this mean? Human rights law is shaped by decisions made at the Human Rights Tribunal, BC Courts, and even the Supreme Court of Canada. Many tribunal panels, arbitrators, and judges have said that the duty to accommodate is a joint process and that everyone has a responsibility. While the employer has a duty to accommodate, the employee also has a duty to cooperate in the process. This means updating the employer on recovery and prognosis, providing relevant medical documentation, and cooperating in the search for suitable accommodation arrangements. An accommodation can also sometimes mean meeting in the middle. An employee association like APSA also has a responsibility in the duty to accommodate. It’s important for APSA to be a part of the accommodation process so that association representatives can play a faciliatory and advisory role. APSA also has an obligation to cooperate in the search for reasonable accommodation solutions, even if there are provisions in the terms and conditions of employment (in this case, the AD 10 policies) which could affect an accommodation. I’ve been on sick leave for a while now, and though I’m not yet 100% better, my doctor thinks I could come back to work with an accommodation. How is this arranged? The first step is to notify your supervisor in writing that you have a disability that requires accommodation. This will prompt your supervisor to contact the Return to Work and Disability office in Human Resources and the process will go from there. You can also contact APSA at any time, even before you write to your supervisor, for guidance, support and advocacy through the accommodation process. I want to request an accommodation, but I’m also very concerned about my privacy. How much information do I really have to disclose about my condition in order to be accommodated? Much like accommodation and undue hardship, there is no one size fits all answer, as the exact level of detail will also depend on what sort of accommodation the employee is seeking. That said, the employer does not have an unconditional right to full disclosure of an employee’s medical situation. They can request, however, medical documentation that is relevant to the restrictions or limitations of an employee’s job duties. - The nature of the illness, and how it manifests as a disability. - Whether the disability is permanent or temporary. - The restrictions or limitations that flow from the disability. - Any treatments or medications which may impact the employee’s ability to perform the job. Does the Duty to Accommodate apply to other characteristics protected by the Human Rights Code, like religion, gender identity, or family status? Or is an accommodation only for physical or mental disabilities? Yes, it does! We’ll be covering Human Rights in the workplace in regards to other personal characteristics in later Advocacy Corner Articles.